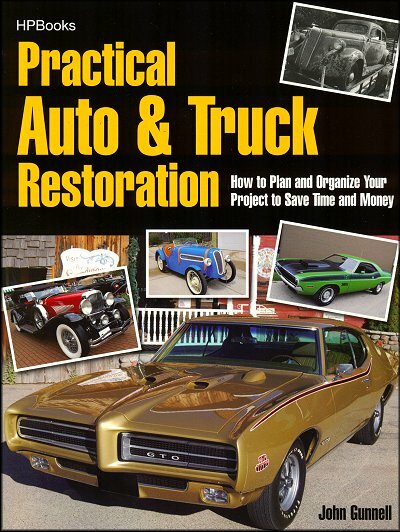 If you've ever restored a car, truck or any vehicle, for that matter, you know that these projects can take twice as long and cost twice as much. With the information in Practical Auto and Truck Restoration, you will be able to properly plan your work so you can then work your plan. Some of the work may be better left to others, while you concentrate on those things you can do yourself. Having the right approach will save you time and money while helping you finish the vehicle of your dreams faster and cheaper! This book, which sadly is scheduled to go out of print, is a great resource for the serious restorer and hobbyist. You will learn different approaches to car restoration, the elements of a successful restoration, guidelines for body and interior, as well as mechanical resto, outsourcing, and much more. Don't get trapped into the "I can do it all" web. Start laying a solid foundation for your restoration work properly, and you will get to the desired destination quicker and without breaking the bank. Note: Since we only have a few books left, these are available on a first come, first served basis, and they are non-returnable. Above: Bob Swenson's 1934 Ford 1/2-ton pickup truck, Fairlee, VT. 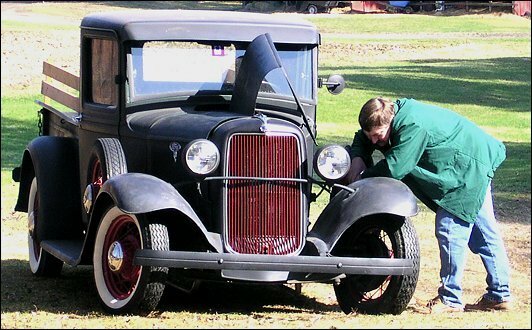 Ask a question about Practical Auto and Truck Restoration.